Exercising regularly, stretching properly, and applying a hot compress might solve the problem of muscle ache for some people, but others need a little more help with their sore back. This is where self-massage tools come in. However, with such a large range of self-massage products to choose from, it can be tricky to know what to try. One self-massage tool that we recommend is the CanDo® Full Body Massager. The CanDo® Full Body Massager is a handheld self-massage tool with 6 accurately placed therapy knobs for relief of muscle tension and stress. 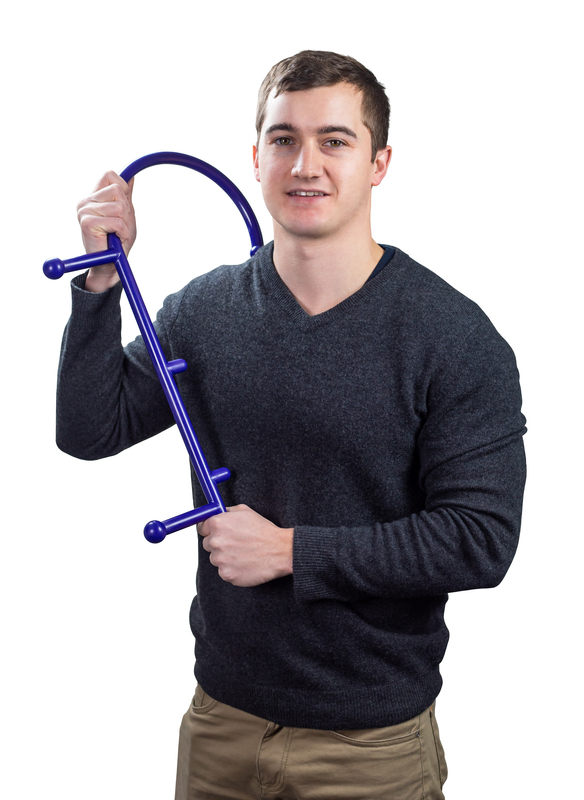 By hooking it over the shoulder or around the body, the CanDo® Full Body Massager provides myofascial release and deep tissue massage to the shoulders, lower back, and other targeted muscles. It’s lightweight and ergonomic design allows users to take it anywhere they go. You can use it in the office, home or outdoors for a self-massage treatment without the help of a partner. This simple yet effective self-massager makes it easy for you to target trigger points and muscle knots in the body, wherever they may be sore. The CanDo® Full Body Massager is a great tool for self-massage. It reaches any part of the body to target trigger points and knots for muscle pain relief. If you feel that the CanDo® Full Body Massager is right for you, please consult your doctor before using. To check out the CanDo® Full Body Massager, click here.